The MET and MoMA too crowded these days? 15 museums that offer full collections of pieces from all around the world or are dedicated to pieces and artists from a specific country or region outside of the U.S. The museum locations divided by Upper Manhattan, Midtown Manhattan, and Lower Manhattan. Photos of a couple of the pieces found in some of the museums. Information on the museums, as well as what countries and cultures are represented in or associated with the museums. No fear, there are so many other amazing museums to visit in NYC... it's just finding them on our great island that can be a little tricky. 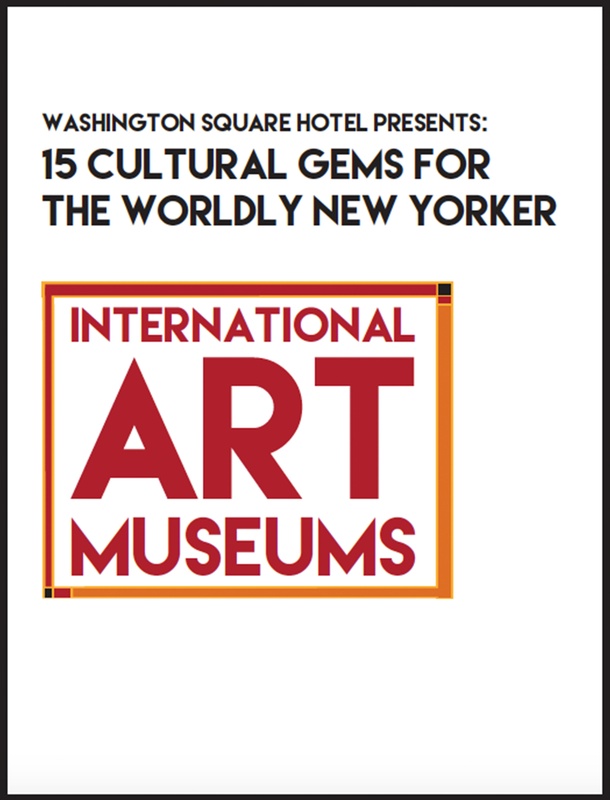 Lucky for you, we've done the research and come up with a stellar list of 15 international art museums from Upper to Lower Manhattan, and everywhere in between. One more fascinating than the next, they're sure to give you an utterly transformational and transformative experience. This free ebook lists museums that will make you feel like you’re visiting a different country the pieces are so well curated. There aren’t too many cities in the world you’ll find such a diverse range of art.